Call 724-655-4301 to schedule your first appointment. For your convenience, evening appointments are available. If you've been suffering from hearing loss and you're looking for the best hearing aids in Aliquippa, PA, come to Miracle-Ear®. Miracle-Ear is America's most recognized brand of hearing aids with more than 1300 locations nationwide. We provide a range of hearing solutions that incorporate the latest technology. From newer models of the traditional design to state-of-the-art aids that are nearly invisible, our hearing aids come in a variety of styles and sizes. We're backed by more than 70 years of experience providing hearing aids to individuals across America. Our products are of the highest quality and feature components designed to give you the clearest sound possible. We'll be proud to show you our hearing aids with GENIUS™ Technology. These hearing aids will let you hear sound in a more natural way from the front and center. It also reduces wind noise and lets you move from one acoustic environment to another with ease. Our hearing aids can come equipped with Bluetooth®* technology to make it possible for you to hear the phone ring, watch TV, and listen to music. Many of our hearing aids come with rechargeable batteries. We want you to discover and experience the Miracle-Ear® advantage. At Miracle-Ear in Aliquippa, we'll provide a 30-day, risk-free trial† in order for you to see if our hearing aids are right for you. Our experienced specialists will help you find the best match for your needs. Call today for an appointment, or if you're in the area, stop by and see if our hearing center could design a solution for you. Your local Aliquippa, PA Miracle-Ear business owner and staff have made a commitment to support the Miracle Ear Foundation. Established in 1990, the Miracle-Ear foundation was created to enhance the life experiences of families and individuals of limited means through the gift of sound. To date, the Miracle-Ear Foundation working with Miracle-Ear centers across the country has donated more than 6,500 hearing aids to over 4,100 individuals nationwide. Miracle-Ear of Aliquippa, PA works together with the Miracle-Ear Foundation to provide underprivileged children and adults hearing instruments. For every hearing aid purchased in Aliquippa, PA a donation is made to the Miracle-Ear Foundation. We are proud to support better hearing in our community. Julia C. Beall-McKelvey BC-HIS, ACA President and CEO of Hearing Instruments, Inc. was nationally recognized with the Kenneth H. Dahlberg Award in June 2018. Named after its company founder, the Ken Dahlberg Award rewards the excellent work done by Miracle-Ear franchise owners across the nation to promote hearing health and the growth of the Miracle-Ear network. 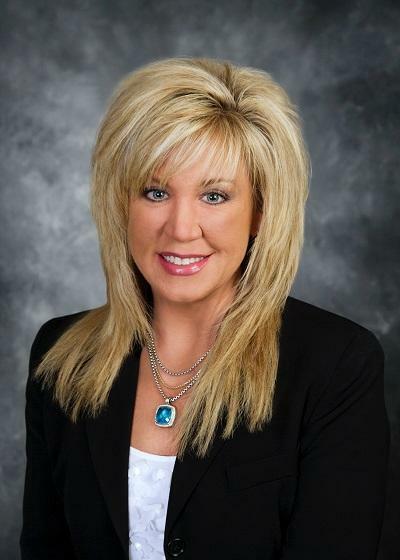 Julie was selected out of more than 130 franchise owners for her commitment to eliminating the stigma around hearing loss, supporting the Miracle-Ear Foundation, her contributions to the Franchise system and providing life-changing hearing solutions that improve lives, relationships and communities. 2019 marks my family's 51st year with Miracle-Ear. In 1968 my father started the business with a small office in Harrisburg, Pennsylvania. He went on to sign the very first Miracle-Ear Franchise agreement in the country and he helped found what is today one of the most well-known and trusted hearing healthcare companies in the world - Miracle-Ear. In 1993 I joined the business as a hearing consultant and in 2004 my father retired and turned the title of CEO over to me. We've grown the practice considerably over the years and now have 33 professional hearing centers across Pennsylvania which is amazing to me! Over the years, we have helped over 80,000 people. That's a lot of happy ears! And they are happy. We continue to hold the coveted Better Business Bureau A+ Rating and for that I'm very proud. I am profoundly grateful for every one of our patients who has trusted us with their hearing over the years and I strive to earn that trust every day. I've dedicated the last 25 years of my life to serving the hearing impaired and finding the best team of compassionate, knowledgeable and hard working professionals to help me do that. It is our mission to help people re-connect with their family and friends through better hearing - we truly bring light into lives that have been dimmed by hearing loss and we do it well. I'm very proud to say that every one of our staff - front office staff as well as Hearing Aid Specialists - has successfully completed the stringent requirements of the new Miracle-Ear Certification program. We are the only company in our industry to offer this comprehensive certification. It gives our patients the assurance that we are uniquely qualified to serve them. I assure you that we will be here to take care of you, whatever your hearing needs may be, for a long time to come. As Kenneth Dahlberg, the founder of Miracle-Ear said, "Everyone knows someone with a hearing loss." If you have friends or family who could use our help, please send them to us - we will take good care of them. Mary Ann brings years of experience to each consultation with her patients and she has both the expertise and experience to benefit each person she works with. And while experience is a vital part of her effectiveness, her ability to connect and develop a relationship with her patients is clearly an advantage in helping solve the complex needs of each individual. 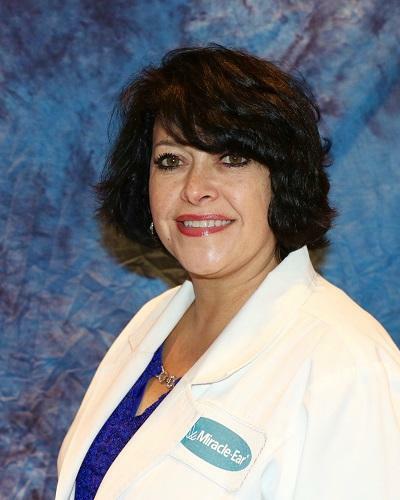 Mary Ann is a Registered Hearing Instrument Specialist in the State of Pennsylvania and has been through extensive training with Miracle-Ear, has received her Miracle-Ear Professional Certification, is trained in Live Speech Mapping, Real Ear Measurement, deep canal impressions, and is proficient with all audiometric equipment to service your needs. She enjoys being part of helping people enrich their lives thru better hearing. For Mary Ann this position is not just a job - she truly makes every patient feel like a part of her family. *The Bluetooth® word mark and logos are registered trademarks owned by Bluetooth® SIG, Inc., and any use of such marks by Miracle-Ear is under license. Other trademarks and trade names are those of their respective owners.